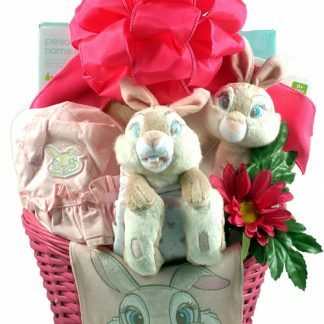 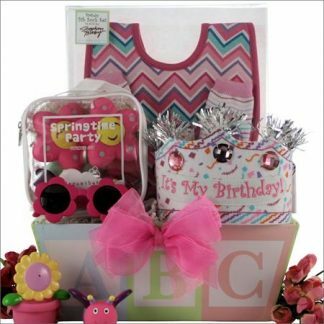 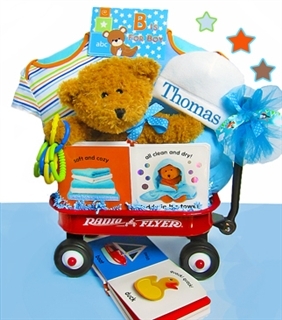 Home / Baby Gifts / Congratulations on Your New Arrival! 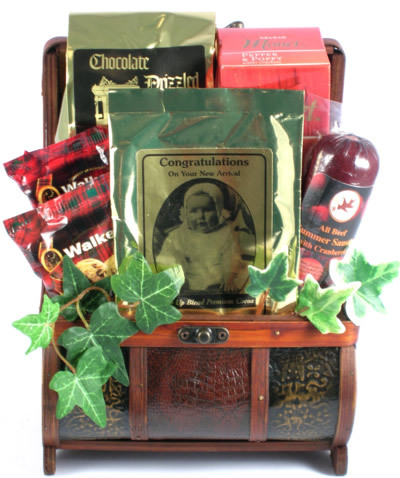 This handsome wooden trunk with etched bronze detailing arrives filled with many delicious treats for the proud new parents to enjoy during their busy time with the new baby.Nestled inside, they will find:”Congratulations on Your New Arrival” gourmet CocoaChocolate Chip and Butter Shortbread CookiesVegetable CrackersGourmet Cheese SpreadChocolate Drizzled PopcornDelicious Gourmet Summer Sausage! 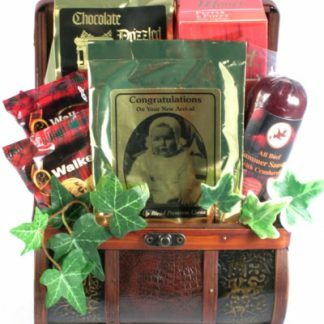 This is a great way to congratulate new parents and prepare them for what lies ahead. 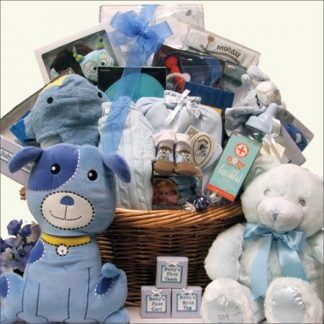 The Ultimate Baby Boy Gift Basket – Free Shipping!